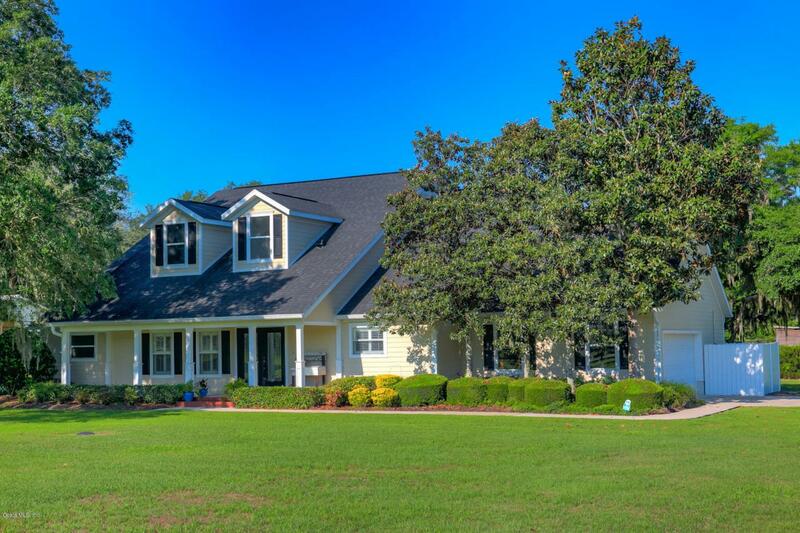 This gorgeous 10 acre farm is located in Central NW Ocala's prestigious horse country, surrounded by other beautiful farms. It's close to equestrian venues including HITS and the new World Equestrian Center. The spectacular barn is a must-see, and includes tongue and groove wood and custom stalls. The pastures are beautifully maintained and have plenty of mature shade trees. This farm also includes a spacious home with many special features. This area is a great place to ride both on and off your property.